Every Thursday & Friday evening The Blue Fish offers Live DJs after 8:00pm in the bar area with arrangements of oldies, Reggae, Top 40 hits, Latin, Hip-Hop and much more. The Bluefish offers pick-up, drop-off and off-site caterings. We can arrange a menu that best fits your event with as simple as picking up a large order or allowing us to set-up your party with all the bells and whistles. Ask a manager for details. You can book a private room for 14, a semi-private room for 30-50 or the entire room for 75-125 guests. Ask a manager for details. 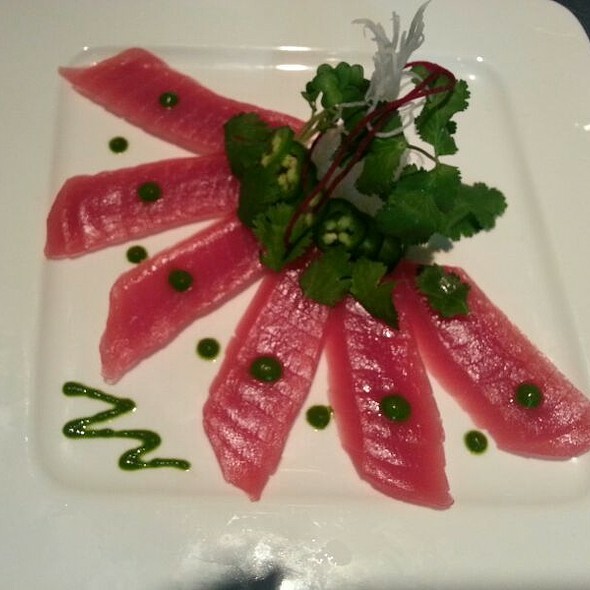 The Blue Fish is a Japanese Restaurant that serves the finest sushi, sashimi and rolls with an emphasis on quality and freshness. 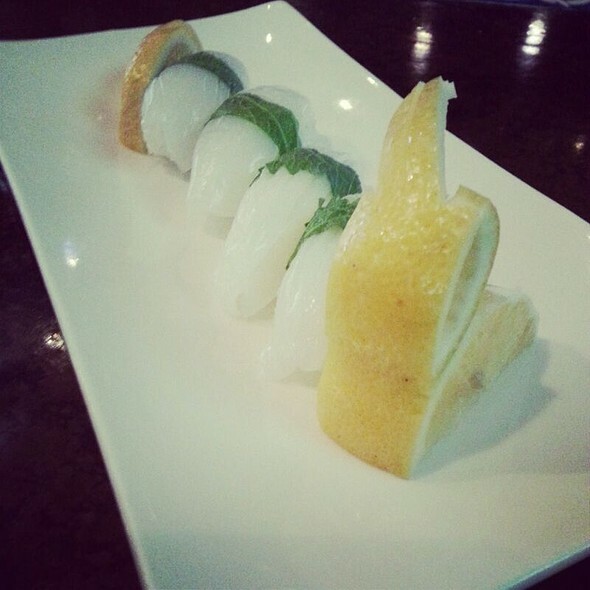 The Blue Fish also offers an array of Asian inspired hot dishes, salads and artisan desserts. 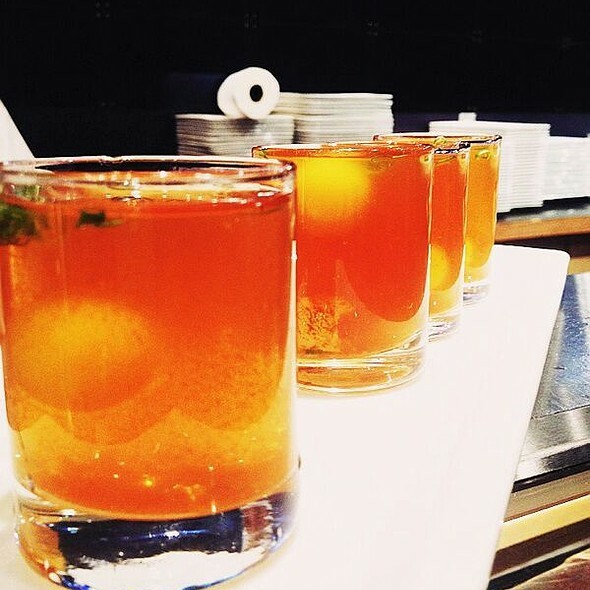 Compliment your meal with uniquely crafted cocktails or with a selection of fine wine, sake and beer. Exceptional service in a lively atmosphere gives guests an unforgettable experience that has made The Blue Fish an award-winning restaurant for 20 years. Food was amazing. We ordered the crab cake and a few sushi rolls. Delicious. The service was terrible. Very cool atmosphere. Dinner was excellent! 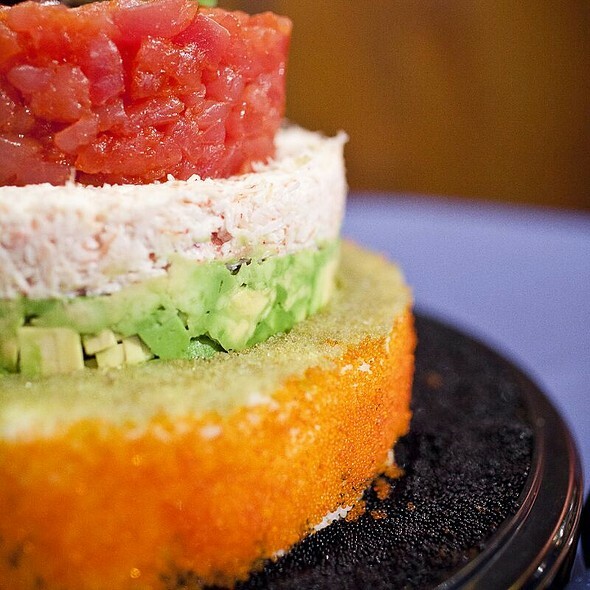 We had the Tuna Tower, the Crab Potstickers, and the Mega Lobster Roll. The service was great, and the chef accommodated our request to have the lobster grilled rather than tempura on the Mega Lobster Roll. We enjoyed several tasty cocktails from their menu. Can't wait to go back! Great food. 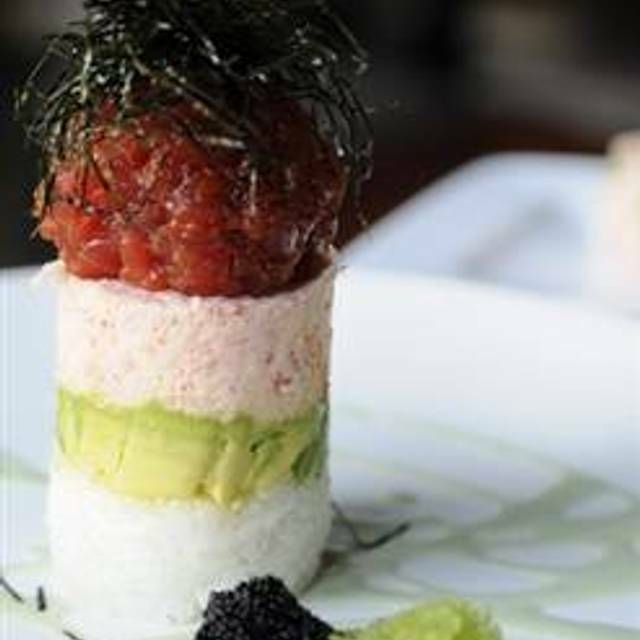 Best ahi tower anywhere! The food here is always outstanding! We came in for a late dinner, and appreciated the quick service and great food! Excellent Sushi, especially so far from an ocean. The buy 2 get 4 weekday lunch promotion is wonderful. I'm glad it's back. 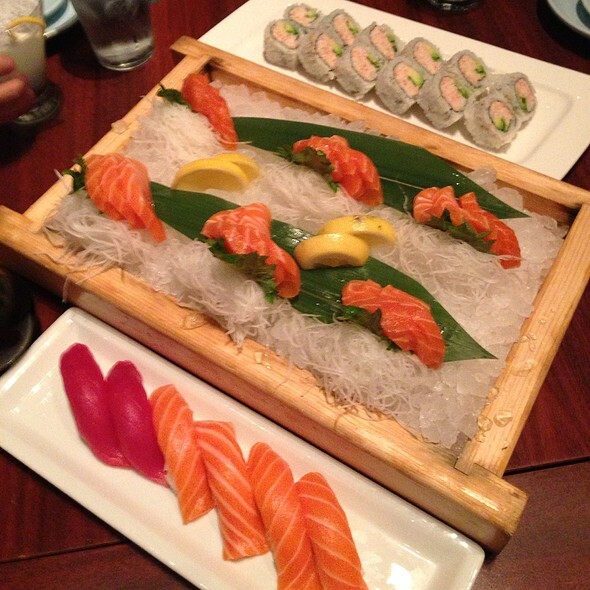 Absolutely the freshest sushi and sashimi!! Always my favorite......bar is great too! The best thing I have to say is that service was fast! Sushi rolls were average and the toban yaki was interesting and very tasty, but a small portion. We were charged $4 extra to make a single substitution. We had a $50 bill and left hungry, so we won't be returning. Food was great. Great service. A bit pricy on drinks. HVAC was having problems. Rather warm. Excellent food and service. They were so careful to bring out a take out box in front of us to pack our left overs in front of us. 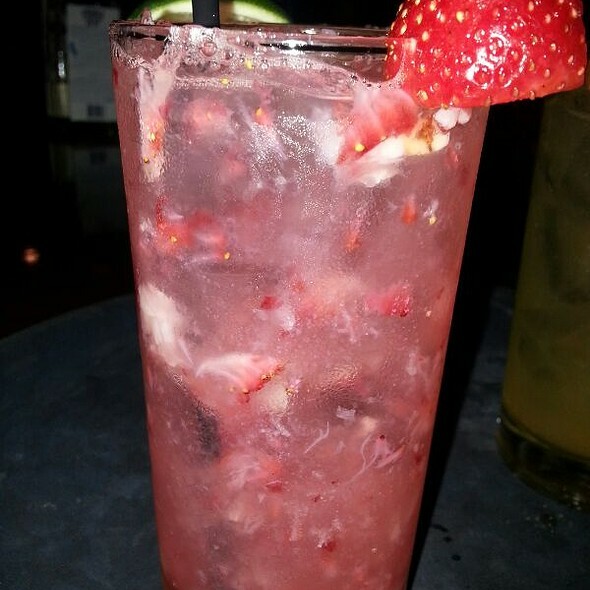 We enjoyed the food, service and ambiance and will definitely return. We had great food and service. The atmosphere is not conducive for business discussions - it is too open, too close, and too noisy for good conversation. Great food and quick service. Fresh and delicious food! Our server was knowledgeable and friendly! Sushi was fabulous!! The Lobster roll was great! Ambience was fair. Very casual. A little like a sports bar with TVs on the walls. But I would recommend it bc the food was great. Great food! The new addition is awful and feels like you are in a warehouse. For your pleasure you can watch fishing shows on the big screen televisions. Great place to eat. Sushi was presented well. Rolls were perfect. Service nice including the folks that keep your glass full. Restroom was clean. Bar area very cool. Try it, you will like it. As usual everything was acceptional and exquisite! The service was perfect and the food was delicious! Can’t wait to come back! We made reservations via Opentable and were seated immediately. Our waiter was very attentive and were in and out within an hour. I had the Sundae roll and my husband had the shark bait. Both were great choices. Will definitely return. Sushi was good, but spicy tuna rolls just average. Also, we substituted real crab for the sashimi crab in several rolls as an upgrade. Black cod entree was good, but tiny portion and high priced. Dragon rolls were the best. My date and I went to Blue Fish on a Saturday evening and had a marvelous dinner. The waiter we had was very knowledgeable about the menu. My date had the Mega Lobster Roll along with the Stuffed Jalapeno and it was great. 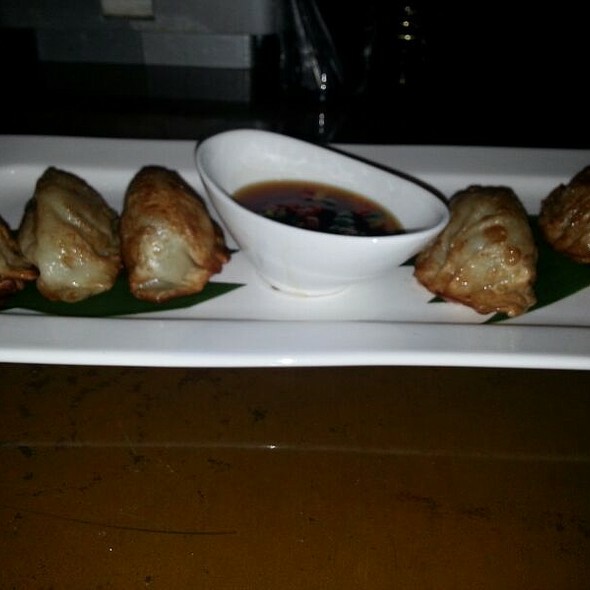 I had pan seared Kobe Mandu and the Crab meat pot stickers. Our waiter recommended the Blue Fish special rolls (can't remember the proper name) and the were great also. Will most definitely be returning. Never a disappointment when we come here for our annual NYE dinner with my brother. The food was delicious. It seems they changed their menu from what I can remember so some of my former favorites were not available. However, the new options were just as great! The service was excellent and the food was very good. What I did not like was the dirty floor. No excuse for not cleaning before busy time. The service was very good. They must have been watching us the whole time. When our server was not right there someone else was taking empty plates. The Sushi was very good. I'm not big into it but my wife was dying for it. Its not a place that has the ambiance for a very romantic date but good for everything else. I would definitely go back and it was one of the best Sushi places I've gone to. The food here was great. The service was not very good though. When we walked in, we were seated at a table far away from the rest of the tables near the kitchen. Our server never refilled our drinks instead sent someone else to do so, and she also was did not explain menu items well. The food was delicious but my boyfriend and I felt like we were not welcome there. Long time favorite sushi spot.....Rock Manhattan and Super Dragon Roll are amazing. The sashimi was very good quality. Dessert was excellent. Enjoyed our first trip to The Blue Fish. We'll be back. Best sushi around!!! Always a good experience with friendly staff. Quite Frankly I made the reservation 2 days in advance & when we arrived there were 5 host/hostess people at the host/hostess stand, it took 10 minutes to get us seated because they had to set up the table. That should have been done prior to our arrive since I had made reservations. The beverages we served fairly promptly. When Justin the waiter took our orders he wrote nothing down. He even had to come back to the table and asked me the host of the event what had I ordered. All of the other attendees had order menus items & not sushi. I ordered a California Roll & a Cumber Roll. Everyone at the table was served before me. Another of the staff members delivered my California Roll and no Cucumber Roll. Another server came by to give me another California Roll & I indicated that I had ordered a Cucumber roll. After finishing the California Roll Justin then came by the table asked if I wanted another one. 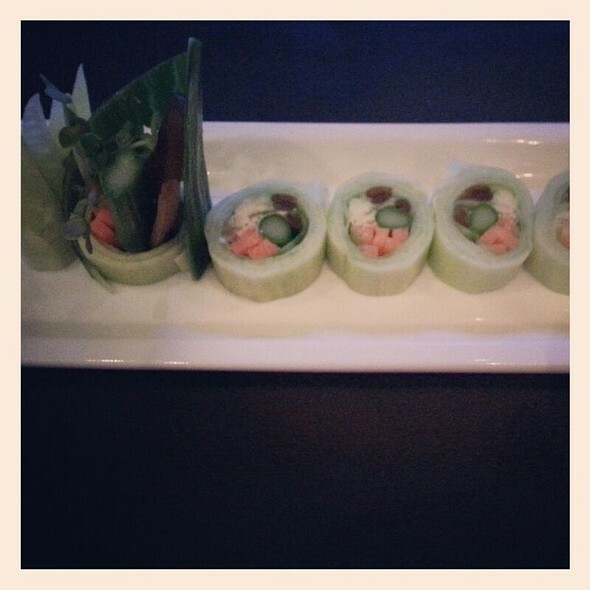 I indicated to him that I did not and that I had not gotten the Cucumber Roll. He apologized & got me the Cucumber Roll. Not a really good experience overall! The food was very good! We ordered sushi and my husband is NOT a seafood guy! But, the sushi was fresh enough that I got him to try - and enjoy! - the calamari and the California roll. We also ordered the vegetarian roll and that was very good, too! All ingredients used were fresh and everything was freshly prepared!